Southern California Edison (SCE) has scheduled a planned power outage that will affect portions of the Pepperdine University Malibu campus on Monday, December 28, 2015. For approximately 12 hours, from 8 AM to 8 PM, select areas of the Malibu campus will have no SCE provided power. Areas in RED will not have SCE provided power during the outage. 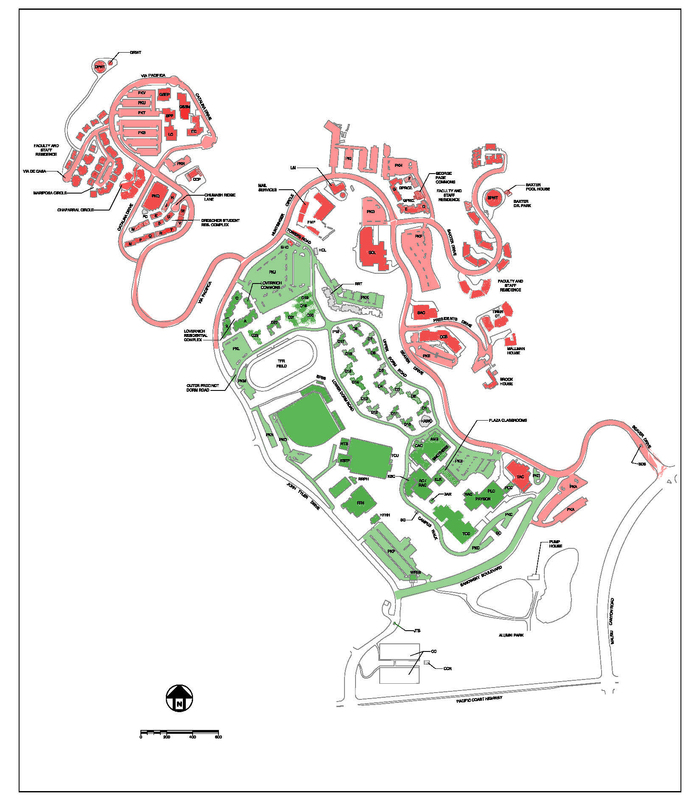 The Malibu campus map shows in red the areas that will be without Southern California Edison power during this time. However, select portions of these affected areas and some limited systems will run on emergency backup power. Areas of the map marked in green will remain unaffected by the outage. Campus operators and the Department of Public Safety (DPS) will remain available and operational during this time. If you have any questions and/or concerns during the outage on December 28, please contact DPS at (310) 506-4442. Please turn off your computers, printers, and all electronic devices prior to the outage to prevent damage and the loss of any electronic data. Pepperdine University is closely monitoring a fire in Latigo Canyon located north of the Malibu campus. The University’s Malibu campus is not currently threatened by the fire. Los Angeles County Fire are utilizing Alumni Park for landing zone operations. Pepperdine will continue to remain in close contact with appropriate county and state agencies to ensure the safety of our campus community. In the event of a campus-wide emergency, Pepperdine community members will be notified via phone, text, and/or e-mail by Everbridge, the University’s emergency communications system.